Like many people, I rely on Chrome’s autofill feature every day. You can start typing an URL in the address bar, and Chrome will show you a list of entries that match your entry. The more you type, the more refined Chrome’s suggestions become. But what if Chrome keeps suggesting an address that’s not relevant? For example, if you made a typo? Or what about if you use a shared computer and you don’t want the other users to discover what you have been looking at. 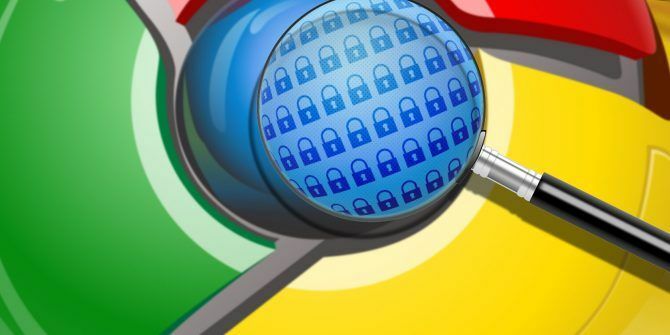 Autofill can be a privacy risk Browser Autofill Is a Privacy Risk: Here's How to Turn It Off Browser Autofill Is a Privacy Risk: Here's How to Turn It Off Autofill is a convenient browser feature, but a big exploit was recently found that could result in you giving away more info than you thought. Here's how to disable it and stay safe. Read More . Clearly, you need to remove the entry. But how do you remove a single URL from Chrome’s autofill suggestions? It’s actually straightforward, even though there are absolutely no pointers within the Chrome app itself that explain how to accomplish it, or even suggest that it’s possible. Start typing a URL until the entry you want to erase appears. Use the Down arrow key to highlight the entry. The item will vanish from the autofill suggestions. Of course, if there are lots of entries you want to delete, you might need to take a more nuclear option and erase all of Chrome’s browsing data. Doing so will reset the app to a fresh state. To delete Chrome’s browsing data, open the More menu (three vertical dots) and go to Settings > Advanced > Privacy and Security > Clear Browsing Data > Advanced. Tick all the appropriate checkboxes and hit Clear data to complete the process. To learn more about security on the web, check out our list of steps that can improve your online privacy 3 Actionable Steps to Improving Your Online Privacy Right Now 3 Actionable Steps to Improving Your Online Privacy Right Now Sick of big tech companies misusing your data for profit? It's time to do something about it. Improve your online privacy right now in just three steps. Read More right now. Explore more about: Google Chrome, Online Privacy, Troubleshooting.